Last update 1/16/2018. Click on a picture below to see that article. You never know what will lead you to adoption! Watch this video and see how working with birds of prey led one woman to adoption. Originally her and her partner never wanted kids, but an orphaned baby owl started a change! We are very blesses to have be part of their journey! Girls ages 2 to 18 got to spend their Sunday as a princess for a day. It's meant to be a gift for foster girls, but all girls in the area are welcomed to participate for just $50. They had their makeup done and hair styled. They even pick out dresses and accessories to get their pictures taken. After getting dressed up, the princesses were announced as they entered the ballroom, where they got to dance and enjoy sweet treats. Over 350 girls got to feel like a princess Sunday at the annual 'Princess for a Day' event, and many say the best part was the priceless reactions from families, children, and foster kids. The event is held by the Family for Every Child organization. Hundreds of children (aged 2 to 18) and families visited the event at Valley River Inn, where the princesses received the royal treatment. The 8th annual "Princess for a Day" event is just weeks away, so now is the time to register or turn in those last minute donations. The event is hosted by "A Family for Every Child." 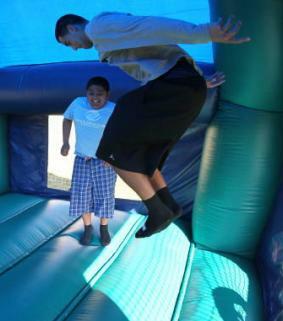 It gives local foster children a day of glamour at no charge. Foster Children from all over the Northwest travelled to Eugene this weekend to become a princess for a day. 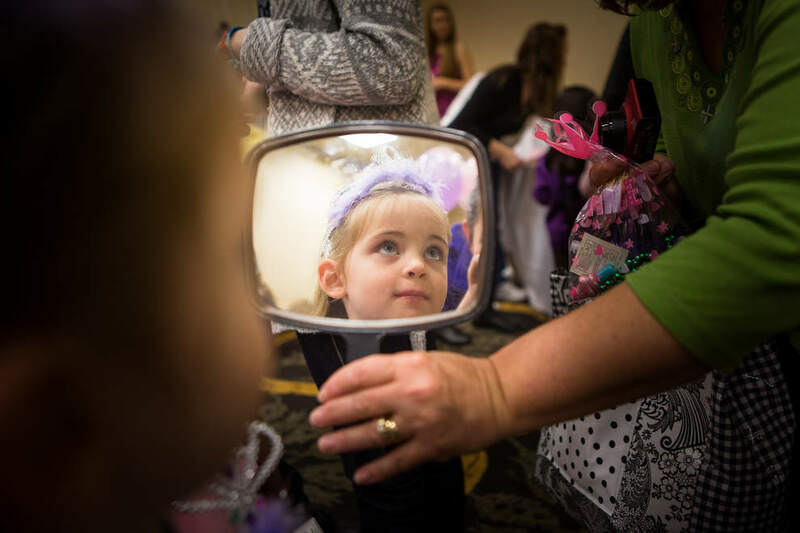 Nearly 400 girls between the ages of two and 18 received VIP treatment at the Valley River Inn thanks to the group “A Family for Every Child.” The community donated thousands of dresses, boas, slippers, and tiaras to make these girls feel like royalty. “This day is about making a princess feel beautiful so any girl in the community can come in and just feel gorgeous for a whole day,” said event coordinator Sarah Cohen. A Family For Every Child runs: An Adoption Agency, Mentor Programs, Heart Galleries, and a Mentor Program. Everything that we do is to make sure that these kids spend the least amount of time in foster care. Ask the kids, what it is like to be in foster care. We help parents too: our Matching Assistance Program helps potential parents locate and adopt children from any state of the country and overcome some of the hurdles involved in the process. Emilio, Ben and Emily now have what they've always wanted: a loving, stable, permanent home with the Jessops. Emilio was in foster care for 5 years before being adopted. "It's really great just to have a family that's going to care for me," he said. That's something 8,000 kids in Oregon - more than 1,000 of them in Lane County - are still searching for. TV Host Brad Mattes introduces you to A Family For Every Child's founder, mission, direction and also to a family A Family For Every Child has helped with multiple adoptions. Like Spiderman and Batman, 5-year-old Izaiah hasn’t grown up in a traditional family. While the superhero characters lost their parents at a young age, Izaiah spent part of his childhood in foster care, not knowing which home was permanent and which was temporary, before being adopted by Tom Leggate and his family about a month ago. 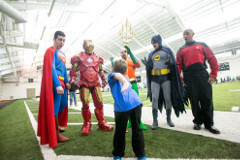 The O Heroes program, along with the A Family for Every Child organization, will give foster children and local kids ages 3-18 a chance to be a "Hero for a Day" on Sunday afternoon at the Moshofsky Center. Many Heart Galleries, like A Family For Every Child, sponsor many different kids of special events in which foster children are introduced to potential parents who may eventually adopt them. This video shows two events where foster kids meet adults who might become their forever family. For organizers of a special community event for girls, the glitz and the glam is in the giving and joyful receiving. Princess for a Day is sponsored by local nonprofit A Family for Every Child, which helps children in the foster care system find permanent, loving homes. The event serves primarily girls in foster care, although anyone is welcome to attend. Their hair primped, their necks sparkling and their giddiness unrestrained, hundreds of girls left the Valley River Inn feeling like royalty on Sunday. The Eugene-based nonprofit A Family for Every Child held its annual Princess for a Day event to pamper foster girls between the ages of 2 and 18, and to raise awareness of the plight of many foster children through Oregon. "She came up to me about a month and a half ago," said Melissa Bermudez, Kyleigh's mom, "and she said, 'Mom for my birthday this year I don't need anything. I just want everybody to just give presents for the kids in need.'" Friends, family and people in the community donated. "These are all boxes for the foster kids," the birthday girl said Monday. "They're signed girls clothes up here, and boy's clothes. These are a bunch of shoes, pants and jammies and stuff. And here's toys for the foster kids." Kyleigh and her mom are working with the organization A Family for Every Child to make sure all those presents go to a good home. 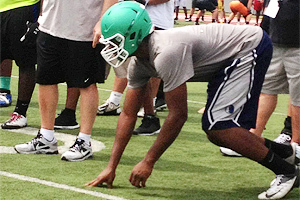 Three-star defensive end Terry Ramsey committed to Louisville in July. But his route to an FBS scholarship took him through years of uncertainty in foster care. Now, with a permanent family, Ramsey is ready to take the field for his senior season. A Family For Every Child, in partnership with other local agencies, begins fundraising for foster boys to be a "Hero for A Day"
Our Associate Director Linzy Munger and others appeared with Linda Ballesteros to discuss Adoption on Power Talk. 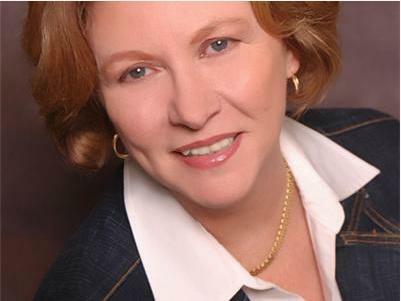 Hear the former President of the Gift of Adoption, an organization that inspires adoption by providing grants to qualified parents wanting to adopt, speak about how families can utilize their supports. Gift of Adoption helps families figure out what kind of adoption is right for them. Linzy speaks about our matching assistance program and the services we provide families who want to adopt from foster care but might be finding barriers in doing so. Linda's Daughter April Keppinger spoke about her adoption experience and working with A Family For Every Child. Eugene, OR. - Thursday, October 25, 2012 Thanks, largely, to the Eugene-based A Family for Every Child adoption agency, he not only has found a foster home that's working for him but is scheduled for permanent adoption by a Maryland couple before year's end. "They already love me," he says. "That's the great part. They're willing to tackle my problems with me." A glitz factor has been added to recent lineups at the Bi-Mart Willamette Country Music Festival. In just five years, big names and big crowds have become the norm. Stars such as this year’s closing acts — Sugarland, Martina McBride and Trace Adkins — are vastly popular in the country music world. And several others, such as the Band Perry and Jana Kramer, are moving up the Billboard charts. For the second year, the Bi-Mart Willamette Country Music Festival will support the HEART Gallery, a national effort to find a home for every foster child. There are more 12,000 children in foster care in Oregon and 500,000 nationwide. Fewer than 50 percent will ever return home to stay. Eugene, OR. 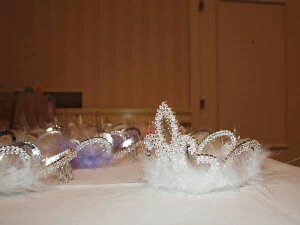 - Sunday, March 4, 2012 More than 300 young girls got to be princesses for the day Sunday. The girls were given the royal treatment including hair, nail and makeup styling, plus a tea party lunch and a special photo shoot. Springfield-based non-profit A Family for Every Child organized the event. Eugene, OR. - Wednesday, Dec 28, 2011 - When you hear about child abuse or neglect, most people's first reaction is "get that kid out of danger." Once we know the child has been removed, we breathe a sigh of relief, assume that the child will be better off in foster care, and consider the problem fixed. If we think of the abuser, it is almost always to condemn and judge: "How could they do that?" Eugene, OR. - Sunday Dec 25, 2011 - How much holiday spirit can you cram into one little office cubicle? If you are Britni Hartford at the International Society for Technology in Education, the answer turns out to be — whole sleigh loads full. 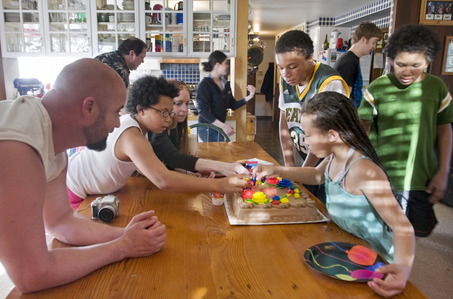 Eugene, Oregon - Saturday, May 9, 2009 - Many hands pitch in to put candles on the first cake of "birthday season," as the Barrett family of Eugene calls the busy months of April through July. 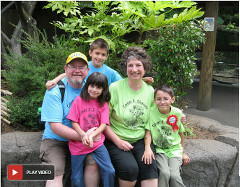 Christy Obie-Barrett and her husband, Bill Barrett, built a rambunctious, affectionate family of 12 biological and adoptive children before she started a nonprofit focused on making a difference in the lives of many more children. Oregon Ducks Assistant Coach Scott Frost mentors a teen.... can you? Scott Frost started as a mentor in Eugene more than two years ago, an experience that turned into much more than he had planned. After mentoring turned into fostering, Frost said: "I forget who said it, but a quote that I really like is, 'Don't make the mistake of doing nothing because you can only do a little.' I'm not there for Chris as often as I'd like to. But because I'm there for Chris, I've seen changes. Not only that, it's been one of the best things I've ever done for me. Because I'm starting to realize the value of having someone completely depend on me, and the impact that I can make on someone." We have a need for more male mentors in the Eugene / Springfield area. Stop making excuses why you shouldn't. An Oregon mother has made it her life's mission to find forever families for Oregon and Washington foster children. Mother of 12, Christy Obie-Barrett, says when her youngest child entered kindergarten she decided she wanted to spend her free time helping others experience the gift of family. Each year, A Family For Every Child works with 250 of the 1000 kids in the Lane County foster program. Family counts for everything: Mother of 12 balances busy home life with working to meet the needs of children waiting for families to call their own. Some people are meant to be parents: Julia and her family were supposed to go to Southern Utah for spring break. Instead, they're here at the Oregon Coast Aquarium in Newport. Eleven-year-old Julia loves this place. 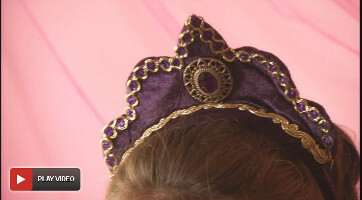 Today she's wearing pink and purple: a purple hat with sparkly plastic jewels, a pink hooded sweatshirt, purple flip-flops. "This spring, Hiram's portrait will join those of more than 300 other New Jersey foster children at an exhibit titled Heart Gallery of New Jersey. If all goes well, adults who visit the exhibit (or view the photos online at www.heartgallerynj.com) will be moved to adopt." "Organizers hope that if more people see compelling portraits of Jaillah and other children like him - life-size and lively - more will consider adoption." They're photographing the children with the same dignity and respect that they would give to big stars and CEOs,' notes Feanny. 'They're bringing the same lights and assistants, the same backdrops.' One boy, she recalls, said to his social worker, 'I feel like a movie star." "Nearly one hundred thirty thousand children in the U.S. public welfare system are waiting to be adopted. Most are eight years old, or even older. Now though, there is a new strategy to get them a home." Christy Obie-Barrett, President of A Family for Every Child, and Director of the Heart Gallery of Lane County, has accepted the invitation to join the National Heart Gallery Board. She will be presenting workshops at the first national Heart Gallery conference in Albuquerque, New Mexico at the end of August. Heart Galleries are an innovative adoption recruitment tool using positive portraits of children needing adoptive homes. Christy will have national impact on adoption recruitment practices. Heart Galleries of America Conference, Aug 25-28, New Mexico.